You’ve just had a wild weekend or a long week at work – but it’s your feet that have really felt the damage. I usually opt for a warm bath full of spa products to relax in before bed, but who knew that the best recovery for tired and damaged feet could be nothing other than natural yoghurt? Full of hundreds of valuable properties, you may never have to visit a spa again. Yoghurt is instantly moisturising, cleansing and nourishing to skin. 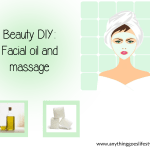 It contains lactic acid, which acts as an exfoliant by removing the top layer of dead skin cells and promotes the growth of new, healthy skin cells. It also contains anti-inflammatory properties to reduce and soothe puffiness. The most famous benefit of yoghurt is to treat foot infections such as athlete’s foot or ringworm. Yoghurt holds probiotics (a healthy form of bacteria) that rids the skin of infections caused by pathogens like yeast. The yoghurt is able to cleanse and nourish the area to heal the skin from the infection. Make your own soothing foot treatment at home for those lazy Sundays to recover. Mix the yoghurt and sugar together to create a smooth scrub. Sugar is used as an exfoliant to break down skin cells, allowing for fresher cells to grow, leaving glowing skin. Ensure your feet are clean and dry. Apply the scrub to the bottom of your feet covering any cracked and dry areas, and over any affected areas. Relax and wait for the yoghurt to dry completely. You can also try bathing your feet in a bowl full of yoghurt for an all over smoothing effect.